It’s 9:25am. It’s your day off. You slept long enough for it to feel like a lie-in, but the reality is your body clock halted your slumber because it thinks you’re due at work today. You make a cup of tea. You sit down on the sofa, flick through the television channels – ideally you want something to ease you into your day. Oh, look; here we go. How about an hour of ‘chav’-bashing pathetically guised as a show that lifts poor, unfortunate people from misery? Great. 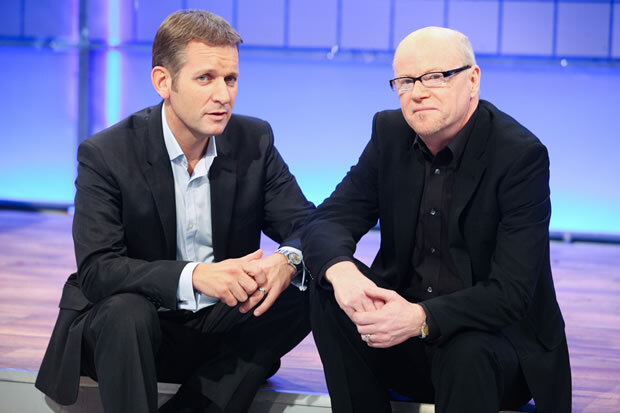 I am ashamed to say I ever watched The Jeremy Kyle Show, but occasionally I did. I used to justify it by saying I was drawn to the complex social issues being tackled, through DNA tests, lie detector results, stories of infidelity, and tales of addiction. Though this may, in part, be true, I now realise that it served a less noble purpose: to make me feel better about my life situation. The show achieves this by projecting a wider, naïve narrative onto the guests that effectively labels them as inferior and inadequate, and by selectively exemplifying extreme cases on national television. My perception is that other people watch it for this exact reason. ‘Let’s all laugh at the scum on TV’…’Ha! 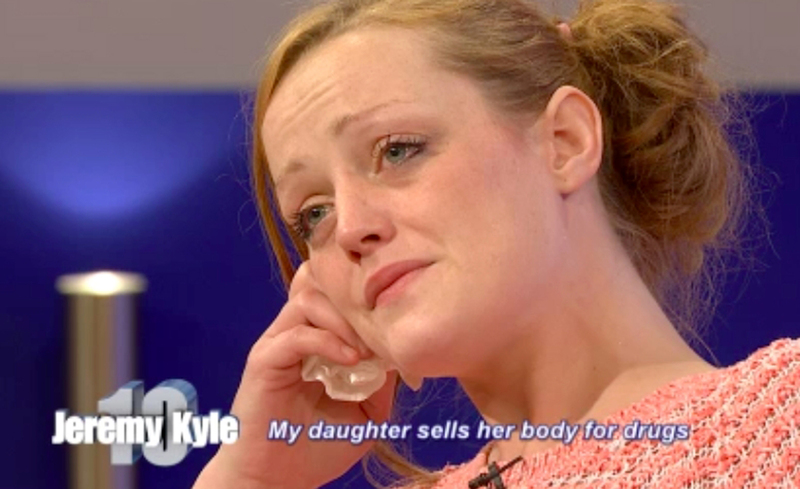 These people are hilarious.’ The Jeremy Kyle Show panders to our horrible, inhumane selves. I blame society for nurturing resentment towards these people. That’s right: people. Human beings. By watching this pathetic tabloid talk show you would be excused for thinking its aim was to purge parasitic vermin from society. It is sadistic. To the contrary, the honour of Most Despicable Scum on Earth must surely go to Jeremy Kyle himself. 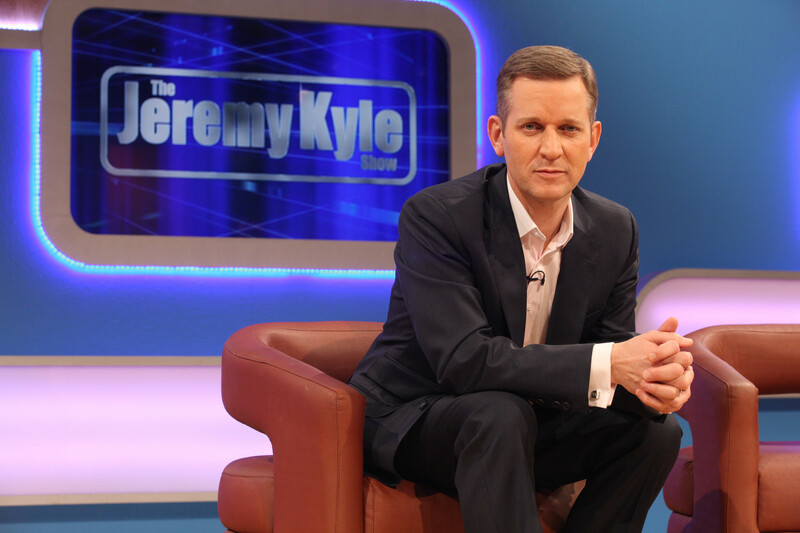 Jeremy Kyle loves the opportunity to make himself look intelligent and funny. As such, he’ll draw guests into traps: ‘Do you want to take me on?’ I’ve heard him say, smirking like the arrogant **** he is. ‘Go on,’ he adds, seeking to exploit another poor victim for TV as he smells blood. But the arrogance is not the worst aspect of the show. What I despise is how it purports to help these people when it actually it is exploiting them for entertainment. Someone from his team initiates clapping amongst the audience, cultivating a perception that every opinionated, reductionist and, frankly, stupid sentence he utters is reasonable, further building his unrelenting ego. Theatrical input from the audience is also encouraged – the boos and shouts – which peddles a view that this is indeed entertainment and not peoples’ pitiful lives. Sure, sure. So why, Jeremy, do you degrade and embarrass your guests? Guests who struggle to articulate themselves, whose pent-up anger at life manifests itself as explosive, incoherent anger, exposing their weaknesses on national television. Why do you turn to the camera and the audience for a cheap laugh at the cost of these people? Why do you ignore good responses and highlight weak arguments for the sake of impact? Why do you patronise them? 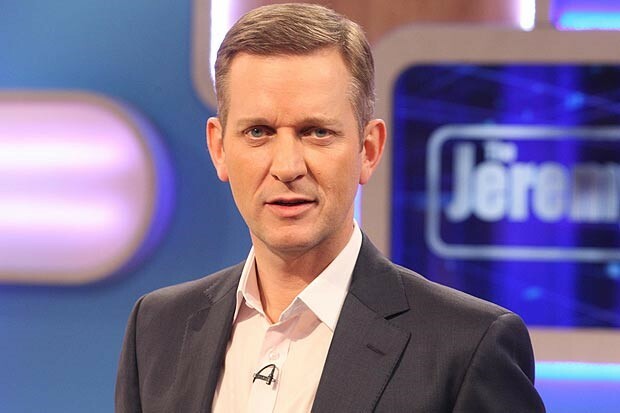 The Jeremy Kyle Show essentially cages hapless and vulnerable people in an emotionally intense and nerve-racking environment. These people are human-beings; we can judge from above, but we will never know what it’s like to live their lives. That’s not to say it is impossible for them to escape their fates at ‘the bottom’; rather, that it’s easy to lose hope, accept your doom and deal with the hand you’re dealt in a myopic and defeatist manner when that’s all you’ve ever experienced. To outsiders, like me and you, being a guest on the show would be a near-literal nightmare, with extremely sensitive and uncomfortable aspects of your life being broadcast to the nation. Clearly this would be embarrassing. But for these people they have a chance at receiving help or uncovering answers with profound consequences. Given their existing conditions – most likely abject misery – the loss of dignity by attending the show is outweighed by receiving help or answers. Another aspect to consider is, though the show purports to help these people, it barely does anything to protect them from inevitable violence. Why is it that nothing is done before violence occurs? It’s so obvious that it’s going to happen. Everyone can see that they are enraged and agitated backstage, shouting and swearing. Lastly, can you absolutely guarantee that you would be in a better position if you grew up in, most likely, a deprived area, amongst cyclical, generational poverty? It may only take one slip-up – one devastating decision, such as committing a crime when hope completely evades you – to set you back, to upset your psychological balance and set the standard of your life for the foreseeable future. I discussed the obstacles that I faced as a working-class child…in a middle-class area. But what about the troubled guests on The Jeremy Kyle Show who are from deprived ‘communities’ in Glasgow and Newcastle, for example? How bad must they have it? They are vulnerable and unstable, and it’s easy to see where their resentment stems from when you see the relationships with their families. The Jeremy Kyle show has now been surfing the wave of working class slander for over a decade now. Clearly it serves a purpose. If the show actually fulfilled what it purports to do and supported these poor people in a constructive way, it would have my utmost respect. It achieves this in part with the support of Graham Stanier and the platform it provides for further support such as rehabilitation. But given the manner in which these ‘chavs’ are portrayed; the cowardly abuse Jeremy Kyle conveys in a loud, obnoxious way, hidden behind security guards; the lack of pre-emptive action to prevent violence; and the fact that this is seen as entertainment, I am absolutely ashamed that I once secretly enjoyed it, and I hope others can join me in my stand against it. When we’re feeling disenfranchised, disempowered and inadequate – and how couldn’t we in such an unequal, atomised and empathy-impoverished society? – the voiceless and vulnerable lumpenproletariat on society’s very bottom rung are disingenuously served up as the perfect social scapegoat and antidote all in one. I definately agree on this!..it so shocking how I use to watch this and find it hilarious untill I saw the light ..it disgraceful how they Potryal these people very sad!.